Growing up in Geneva, Switzerland, Zahan Billimoria always knew he wanted to be a mountain guide. Skiing was always a huge connection to the mountains for him, and when he was 18, he climbed with Christophe Profit, a renowned French alpinist who has climbed the north face of the Eiger 10 times. That day sealed Zahan’s—known as “Z” to friends—commitment to pursuing a career as a guide. 11 years ago, Billimoria landed in Jackson Hole to start his guiding career in the Tetons, at one of this country's most respected guiding services, Exum Mountain Guides. Now a Marmot sponsored climber, he’s been a full-time guide with Exum for six years, guiding clients from around the world on rocky ridges in the summer and on ski slopes in the winter. When he's not leading clients on unforgettable trips, Billimoria’s often out on his own or with his family, climbing in the Tetons or further a field—he spent part of this spring skiing in Chamonix, he regularly hits Red Rocks (outside of Las Vegas), and Yosemite is always a favorite. Z and his family. Their youngest, Gemma, age 5, finishing her first climb. 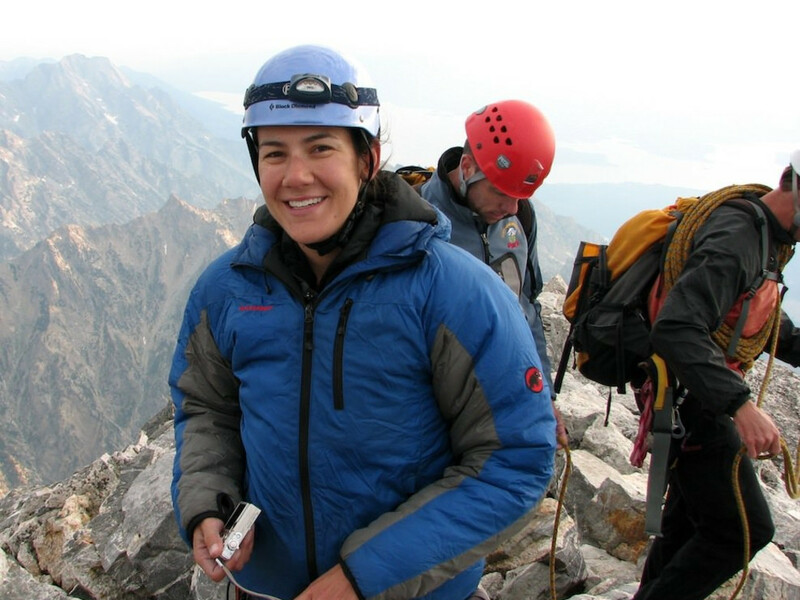 RootsRated: There are dozens of peaks to climb in the Tetons. What do you advise people do to prepare? Zahan Billimoria: Book early! As silly as it sounds, if you’re going to go with a guide, spaces fill up pretty quickly. People call Exum in May and June and expect to get their pick of dates in the peak season of July and August and they’re disappointed. By then, dates are really limited. Bookings open November 1 for the following summer and I don’t think it’s a bad idea to make your plans as early as December, even. RR: Once reservations are confirmed, how should they prepare? Billimoria: I think a lot of people worry about not being able to do climb the Grand, they fixate on the Belly Roll or the Step Across sections. 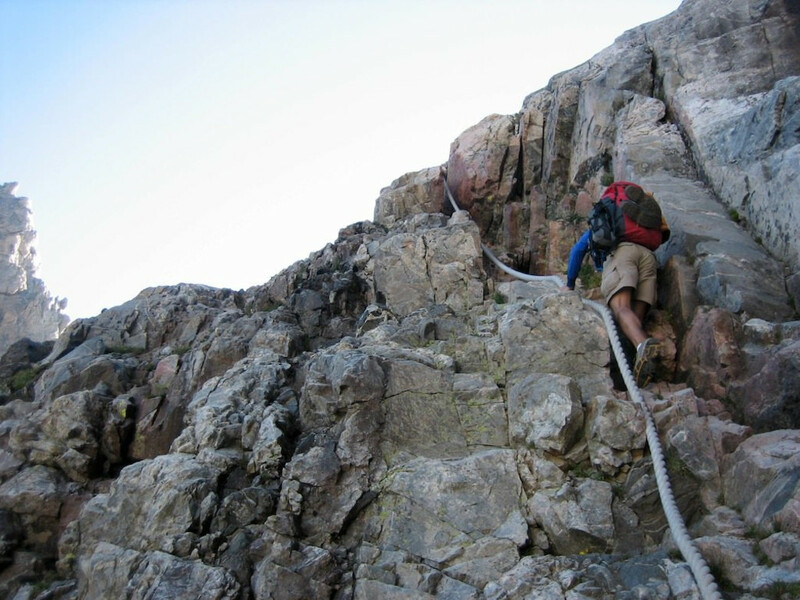 (Editor’s note: These are not technically difficult maneuvers, but very exposed ones on two of the most used routes to the peak’s 13,775-foot summit). They think one of these small portions of the climb will be the stopper moment for them. From my point of view, that’s rarely ever the case. What stops most people is fitness. Fitness is the single biggest determining factor of success and enjoyment. RR: Why is fitness so important in the Tetons? Billimoria: In the Tetons there’s no getting around the fact that any type of climbing experience—whether it’s the Grand or another peak-- involves hiking and significant elevation gain. It’s a steep, alpine range. RR: Advice for developing Teton-worthy fitness? Billimoria: The more specific you can be to the activity you’re training for, the better. Climbing the Grand is more hiking than rock climbing. Most clients live at sea level or places where they don’t have huge mountains they can hike up. For them, maybe gettimng out to mountains or hills for weekend hikes would be wise. Or, if you live in an area where there’s a stadium with stairs or shorter, steep hills, do hill repeats or intervals on those; that’ll train your musculature to ensure you’re ready for hiking. 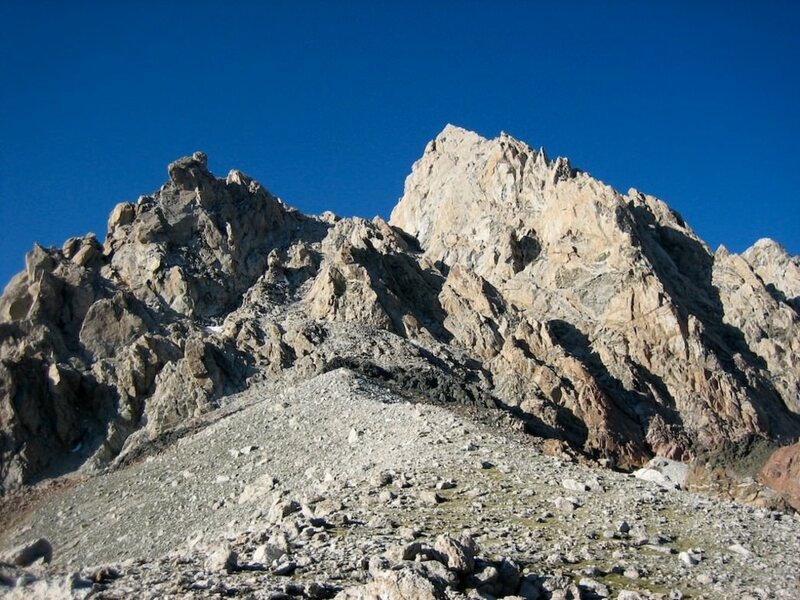 I think weight training has a place too, but no matter how CrossFit strong you are, if you don’t have a deeper aerobic base, the Tetons will be hard. RR: Peak season for Exum Mountain Guides is July and August; what’s the summer off-season like? Billimoria: There is great climbing outside of the peak season. Late May and June are wonderful times to be up in the mountains. The reality is June can be a really exciting and interesting time and can make the Grand easier; you can glissade down long sections rather than walk down the whole way, pounding your knees. It’ll seem like there’s no one up in the mountains, and this is a really beautiful time to experience them. The climbing is very engaging. You’ll be in and out of crampons and climbing in crampons. Billimoria: We still teach you everything you need to know to go up the Grand with us. You’ll get a day of training in dedicated snow skills, which might be developing skills that will be useful on a future climb as well. RR: How many times have you climbed the Grand? Billimoria : Too many to count. RR: Let’s get past the Grand. It’s a beautiful mountain and all, but it’s far from the only Teton summit. Billimoria: Teewinot is an awesome and unique mountain. Whether the Grand isn’t feasible for you or you’re just in the mood for something else, Teewinot is a great option. You get out of your car at the Lupine Meadows trailhead and walk straight up for 5,000-some feet. Standing on the top, you feel if you rolled a tennis ball off, it’d go right to the parking lot. RR: If Teewinot is an easier option than the Grand, what about one that’s slightly more difficult? Billimoria: Moran. It’s a great step after you’ve done the Grand. 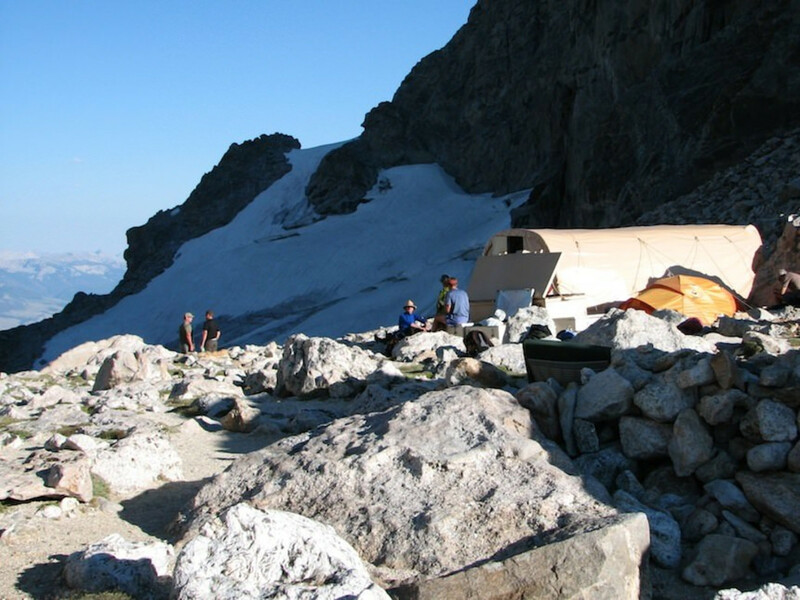 It’s often done in three days and there is no hut or facilities, so you’re carrying all your supplies to a high camp. The climbing is more attentive than the Grand. You’ve got to canoe to get to the base too, so it’s a real wilderness experience. You might spend the entire time and see only one or two other parties. There are just so many things that make Moran unique. 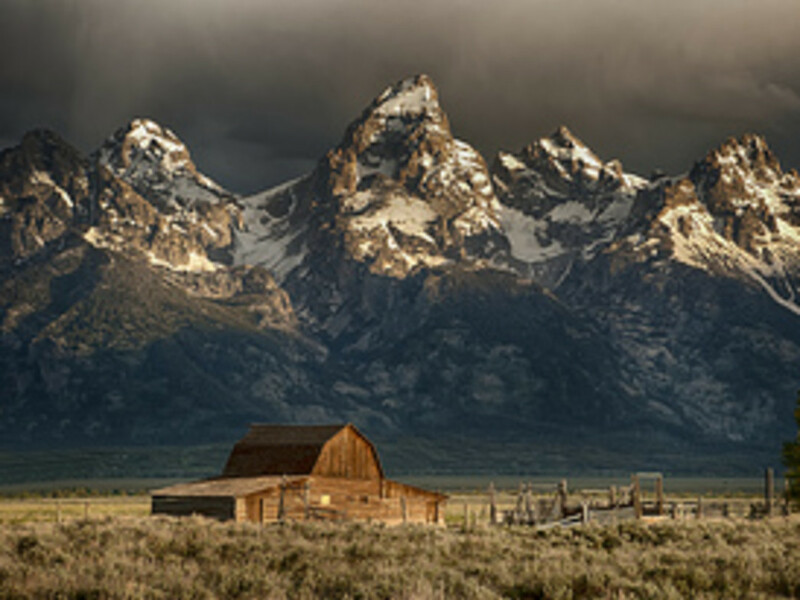 Geologically, it’s out of place in the Tetons too, it’s so broad. You could set up a football game on the summit. Amidst all the usual towering, pointy Teton spires, there is this huge massive rock called Moran. 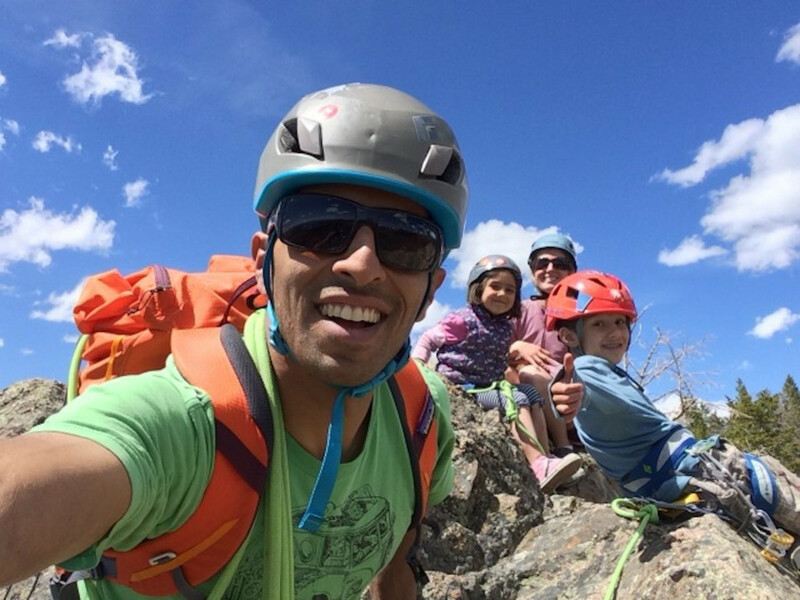 Caption for photo of Z with people: Zahan, wife Kim, and son Alyosha, 8, help daughter Gemma, 5, finish her very first climb.